Every August I travel down to Portland, Oregon to attend the Farwest Trade Show. My favorite part about this green industry show, hosted by Oregon Association of Nurseries, is the New Varieties Showcase. Last year, I discovered the Hydrangea ‘Horwack’ (trade name Pistachio). I knew this one was going to be a hit and sure enough, when it is in bloom at the nurseries, the plants fly off the shelves! In addition, my article about this shrub went viral not long after I posted it. I believe this is going to be another hydrangea that people are going to line up for; it’s already causing a stir for those who have seen it. The velvety purple leaves set it apart from the others, and as a bonus, the lacecap flowers are pretty in a blush of pink. 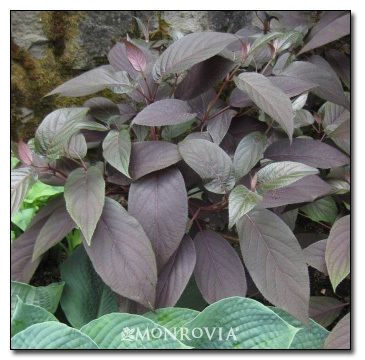 The leaves eventually turn a bronze-green, while keeping the velvety pinkish-purple undersides. 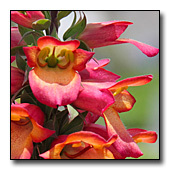 Another showcase plant for this year that I’ve been drooling over since 2012, and finally have it growing in my garden is Digitalis Illumination Flame. 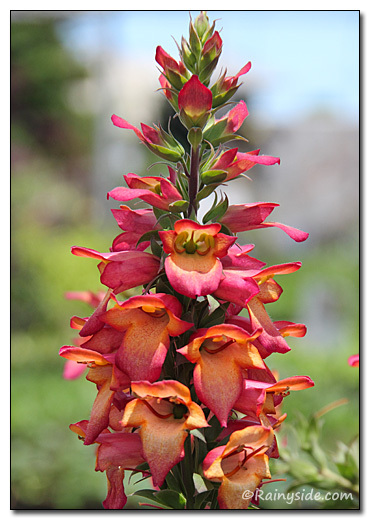 This is also being called xDigiplexis, as it is an intergeneric cross between Digitalis and Isoplexis. The good news is that because it is an intergeneric cross, there are no viable seeds—it’s a mule. If you’ve refrained from growing foxgloves like Digitalis purpurea as I have because it seeds everywhere, this is an exuberant substitution that outshines many foxglove hybrids. In addition, it will bloom from spring until fall. 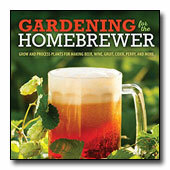 Keep your eye out for this one; you will love it in your garden. These are being grown in the Pacific Northwest and come from wholesaler nursery, Skagit Gardens. They are showing up in local nurseries already. Now about the botanical name? It remains elusive to me. Of course, yours truly will be at the Farwest Show, checking out all the latest and greatest plants and products that help your Northwest garden thrive and look gorgeous! I'll be reporting on what catches my eye this year. The Farwest Trade Show is slated for August 22-24, 2013. For more information about the show, visit their web site.